It takes energy to power the economy of tomorrow—ideally, clean energy. That’s why, like other growing countries, China is aggressively building out its system of hydroelectric power plants. These are enormous projects with unique challenges, requiring the coordination of thousands of people. With the experience gained from building 400 hydropower projects, Hydrochina Kunming Engineering Corporation Limited knows what works to get the job done right. Of the many options available, the company utilizes Building Information Modeling (BIM) to connect teams across the project lifecycle—from design to build to operate. Located in China’s Sichuan Province, the $2 billion HydroBIM–Yangfanggou Hydropower Station is scheduled for completion in 2022. The project is situated in a steep canyon created by the Yalong River, and it has many components, including the dam structure, the flood discharge system, the main generator, a switching station, and a separate power generation system that will use diverted water. In all, 200 engineers and 21 different professional disciplines—from geology to hydrology modeling to engineering, procurement, and construction management—will contribute to the project. Hydrochina Kunming Engineering is using BIM across the project lifestyle, from design and planning to project management and quality assurance. And with cloud-connected devices, stakeholders contribute to the model and access the information they need in real time, whether they’re in the office or the field. The BIM model is the heart of the project. First, surveying and mapping used BIM to create a 3D model of the Yalong River basin. Then, geology engineers added detailed information about the topography’s physical makeup, including the location of unstable terrain, to create a 3D geology model. Next, the excavation approach was modeled and the designs of the project’s separate components of the project—the dam, the power plant, the diversionary water pipes, and so on—were integrated into a single complex model, with clashes detected automatically. 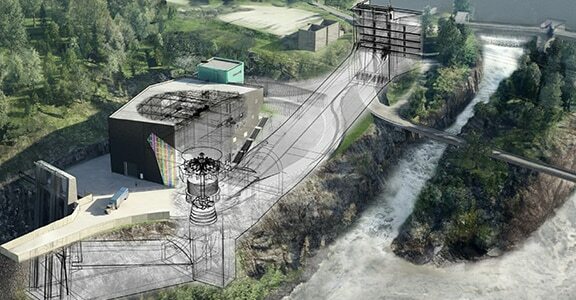 Then came the simulation of the construction process, as well as hydrology analysis and flood and inundation analysis. 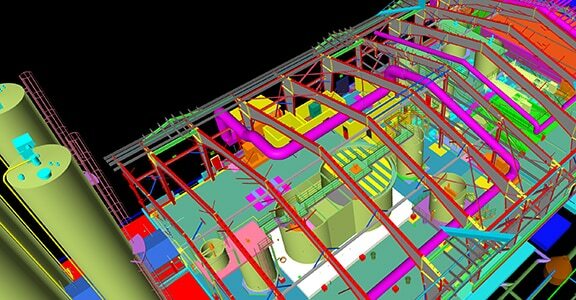 During construction, the current phase of the project, BIM is enabling the creation of highly detailed 3D drawings that show components in the context of the rest of the project. And with cloud-connected devices, stakeholders from designers and builders to the owner can connect to the model from any location, driving collaboration and ensuring that teams always have the most recent project information. With BIM plus cloud and mobile technology, Hydrochina Kunming Engineering can finish projects that used to take 8 months in just 3. 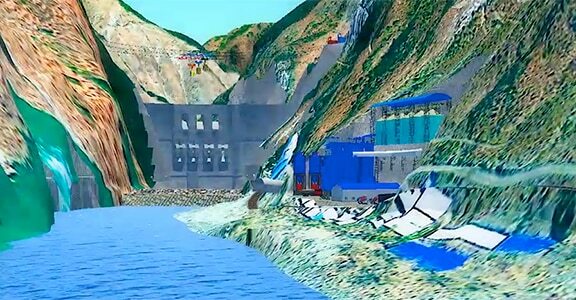 The HydroBIM–Yangfanggou Hydropower Station is far from complete, but already, with the help of BIM, Hydrochina Kunming Engineering has reduced the amount of concrete required for the project by 1 million cubic meters, and the amount of excavation required by 1.5 million cubic meters. To date the cost savings as a result of the use of BIM on the project totals roughly $300 million. 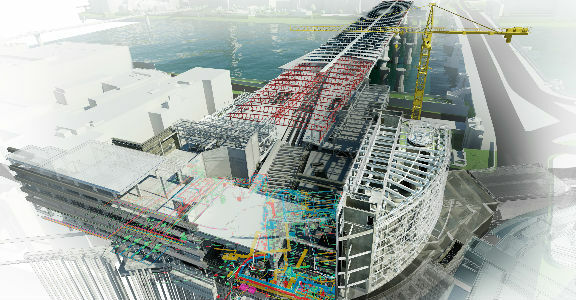 Equally important, by embracing BIM, the company is positioning itself for success in an increasingly connected future. Using BIM processes and laser scans taken by drones, the company modeled a remote wastewater plant quickly and accurately.